Australia Piano Quartet is a vehicle for the talents of four forward-looking musicians with a passion for the classical repertoire that is balanced by a strong collective awareness of social justice, transdisciplinarity and entrepreneurship. 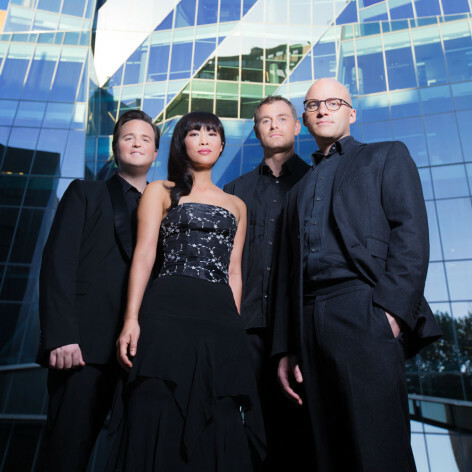 University of Technology Sydney’s Ensemble in Residence since 2012, the quartet members are Rebecca Chan (violin); James Wannan (viola); Thomas Rann (cello) and Daniel de Borah (piano). While curating an innovative collaborative programme at UTS, APQ is presented by the Sydney Opera House and Melbourne Recital Centre and has toured France, UK and China.